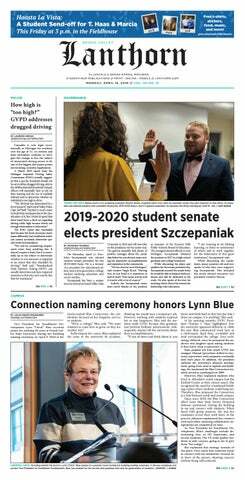 After a few weeks of deliberation, the Grand Valley State University student senate finally voted Thursday, March 1, to continue the annual Battle of the Valleys charity competition against Saginaw Valley State University. While some senators had expressed concern that the competition might not be well-known enough to be worth keeping (reflected in the 12 votes against continuing it), Battle of the Valleys is arguably one of the only Laker Traditions that has a tangible and significant effect on the surrounding community. At a gathering of administrators, faculty, staff and students, Grand Valley State University President Thomas Haas announced his impending retirement Wednesday, Feb. 28. As one would expect, his surprise announcement has been met with emotional cries of nostalgia from the campus community. Haas, affectionately dubbed "T. Haas" by students, has had an immeasurable impact on the university and will be leaving his yet-to-be-determined successor with enormous shoes to fill. In the wake of the recent tragedy in Parkland, Florida, many people are joining together in solidarity with the shooting survivors to fight for change. While another mass shooting staining our country's history books has reignited the age-old gun-control debate and emboldened online trolls, plenty of people have been reacting to the tragedy peacefully and with outward expressions of solidarity in order to not produce any more hurt. This response speaks to a larger issue: Peaceful protests, or nonviolent protests that don't involve hurting people or property, are a good way to make our voices heard. In an inspiring lecture from Daryl Davis, author of "Klan-destine Relationships: A Black Man’s Odyssey in the Ku Klux Klan," the Grand Valley State University community was reminded that striving to understand others' beliefs is key in bridging the gap between people. Many Grand Valley State University students are completely unaware of how much Presidents' Ball costs to put on. The allocation amount is accessible, but the actual budget in full is not readily available to students, nor is it particularly transparent, despite the event's cost being described as such by many officials. The least that students should expect from those in charge of planning and funding the event is explicit accuracy and transparency. If an event is taking place to get prospective students to come to GVSU, the students who go here now should know what they're paying for first. On Wednesday, Feb. 14, Marjory Stoneman Douglas High School in Parkland, Florida, was the site of a deadly mass shooting. At the time of writing, at least 17 were dead and there were multiple others wounded. How much blood has to be spilled for legislators to bring more than thoughts and prayers to the table? With the winter 2018 semester almost halfway over, it's time for returning Grand Valley State University students to begin thinking about the next academic year. Aside from scheduling classes, GVSU students can also look to get civically engaged on campus. One way to do this is by participating in the upcoming student senate elections, whether by running for an open seat or voting. The economy and workplace are constantly evolving, and understandably, students' educational needs and desires evolve with them. Grand Valley State University has stayed consistent with meeting students' needs, adapting its programs and financial accessibility to accommodate both undergraduate and graduate students. After the seismic wave of damning victim-survivor testimonies in the Larry Nassar sexual abuse case, Michigan State University's staff, administration, internal review policies and reporting mechanisms are consequently being put under the microscope and scrutinized by the public. While MSU is beginning to suffer the (well-deserved) consequences of being called out for gross neglect of victim survivors, other universities are now being compelled to conduct their own internal reviews and investigations to avoid the public relations disaster that MSU is currently experiencing.